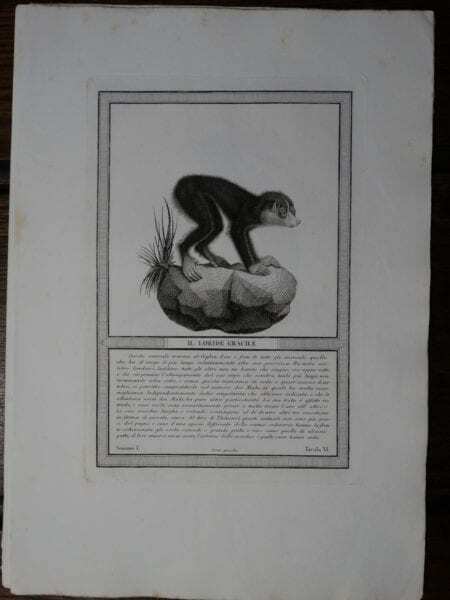 Jacobs Monkeys antique engravings from 1810… coming from a rare Italian monkey book. Simple in Black and White, Copper Plate Engravings on hand made rag paper. 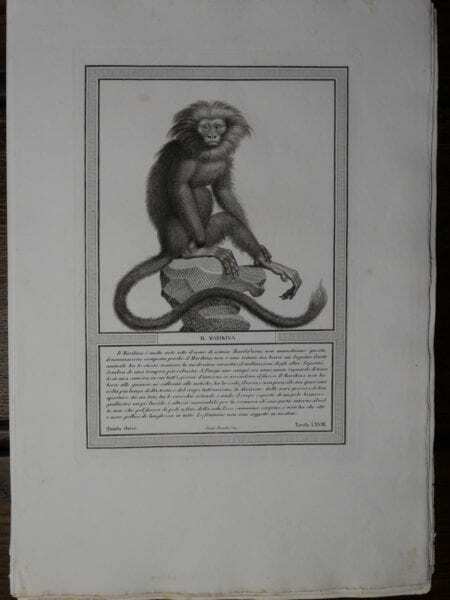 Jacobs Monkeys, Italian Black and White Copper Plate Engravings, Published in 1810. 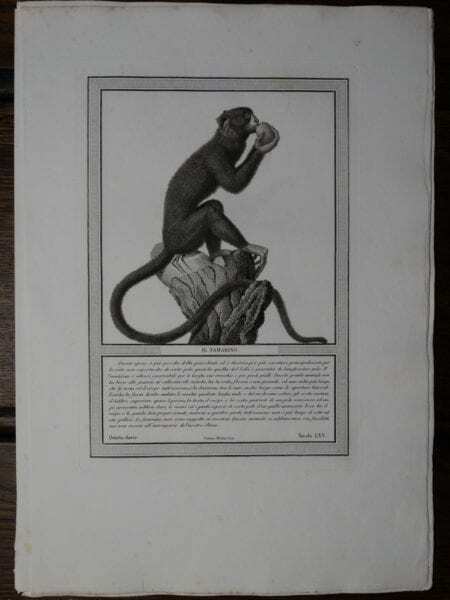 Each of these rare antique copper plate engravings of monkeys has a little foxing, but other than that, are in good condition. 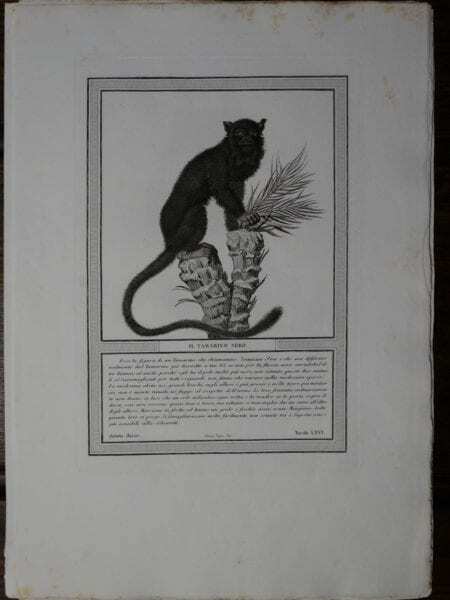 The paper is hand made but is heavy wove and the impressions are strong with intense ink. All of them were published in Italy in 1810. The field and specimen illustrations were collected, transferred onto a thin sheet of copper attached to a board. 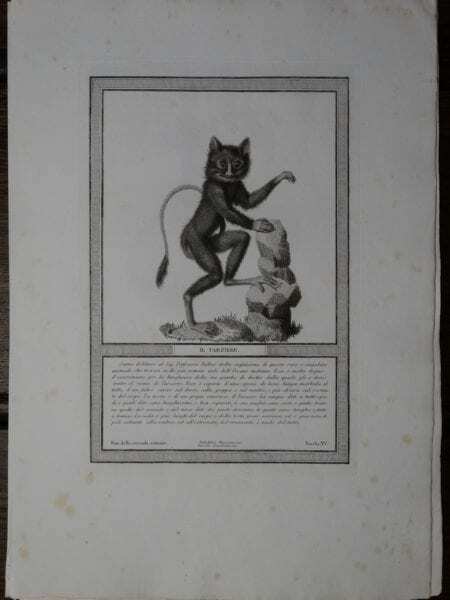 Seeing that copper is soft, it could be these lovely old engravings. The workmanship and details of each piece is excellent and very life like for year of 1810. 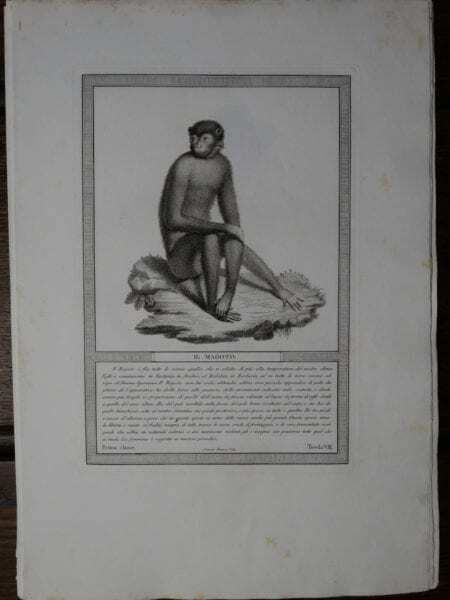 Human curiosity drove naturalists to publish books on new discoveries. 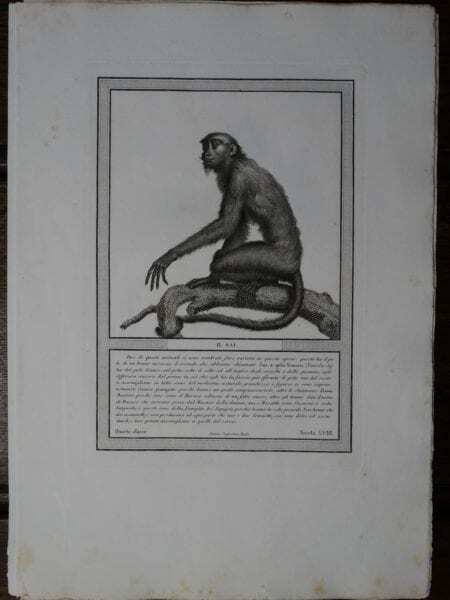 Man’s curiosity drove the supply and demand to publish books on new species of animal life being discovered. Naturalists would travel and document. 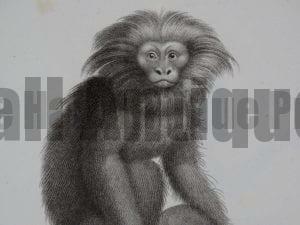 Big money by Royals funded these naturalists and then engravers, and publishers. 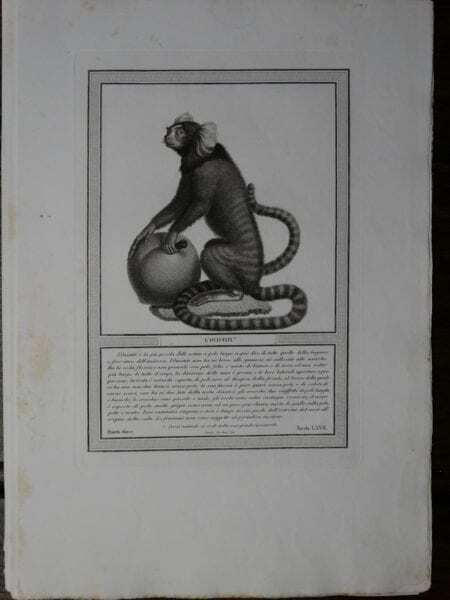 The wealthy not only subscribed to what we know today as rare books, but it was a status symbol to have a broad education as to natural history. Once a book was published, it could sit in a wonderful library, and shared with others. In this case it could be perfect for testing one’s Latin.